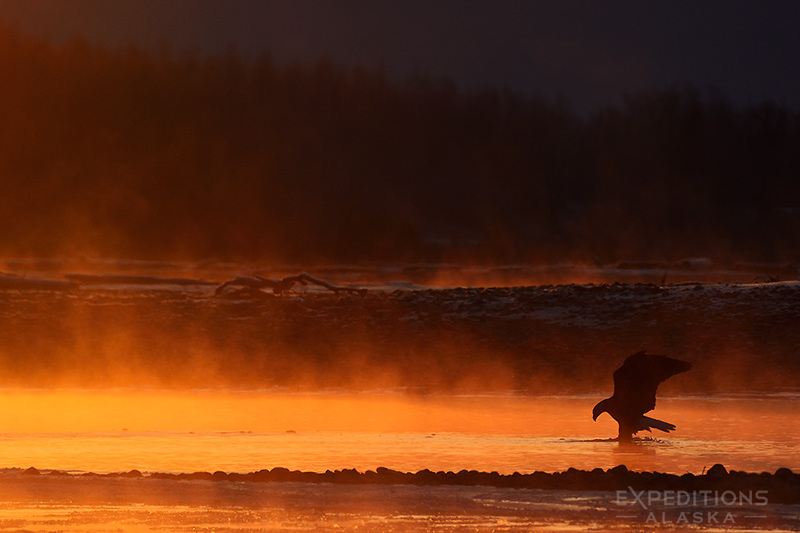 A bald eagle silhouetted against of glowing in the morning sunrise. Back from a couple of weeks in Haines with the eagles and tours. We had a nice time, everyone got some nice images, and the weather wasn’t too bad at all. I shot this one the final morning of the trip. Posted on Friday, December 5th, 2014. This epic photo was taken by Carl Donohue.